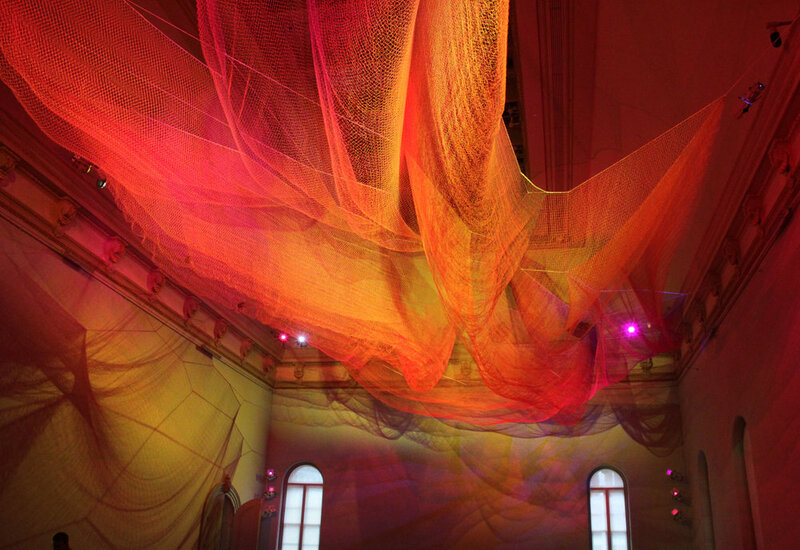 The Smithsonian American Art Museum commissioned Janet Echelman to create an artwork to transform the Renwick Gallery’s iconic Grand Salon. 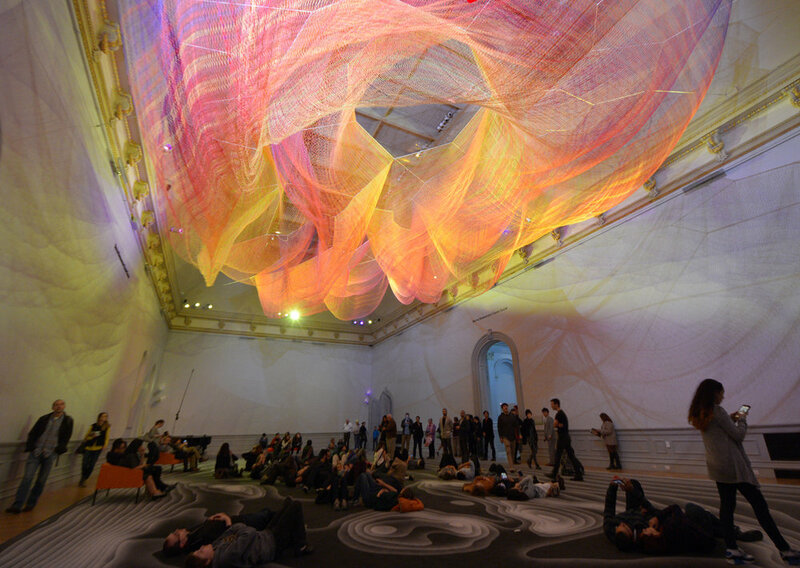 The WONDER Exhibition, the Renwick Gallery’s first after an intensive 2-year renovation, “transforms the entire museum into an immersive artwork.” Echelman’s sculpture has since been acquired by the museum for their permanent collection and remains on display. 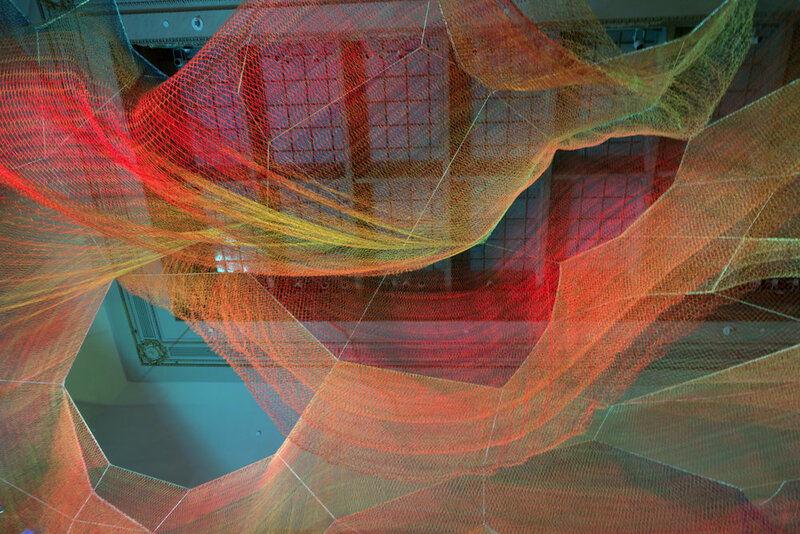 Echelman created a soft, voluminous net sculpture that surges through the air of the hundred-foot length Grand Salon, intersecting with its historic cove ceiling. 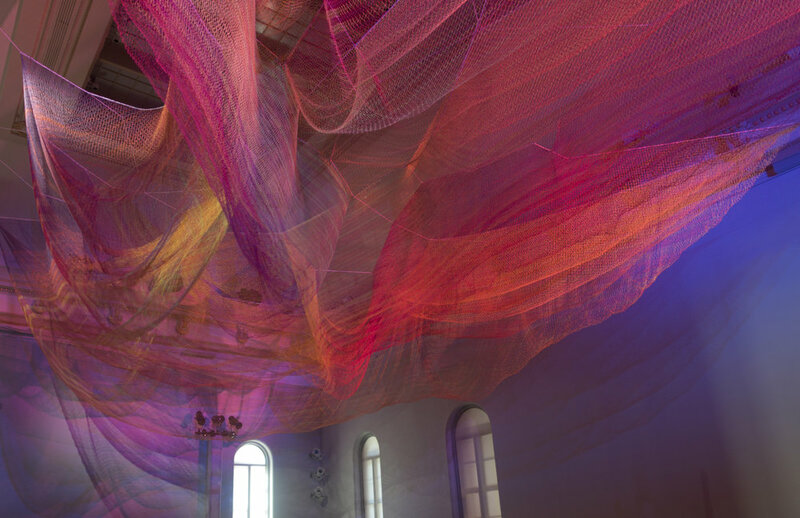 The complex form is composed of many layers of twines, knotted together in vibrant hues that interplay with colored light and “shadow drawings” on the walls. 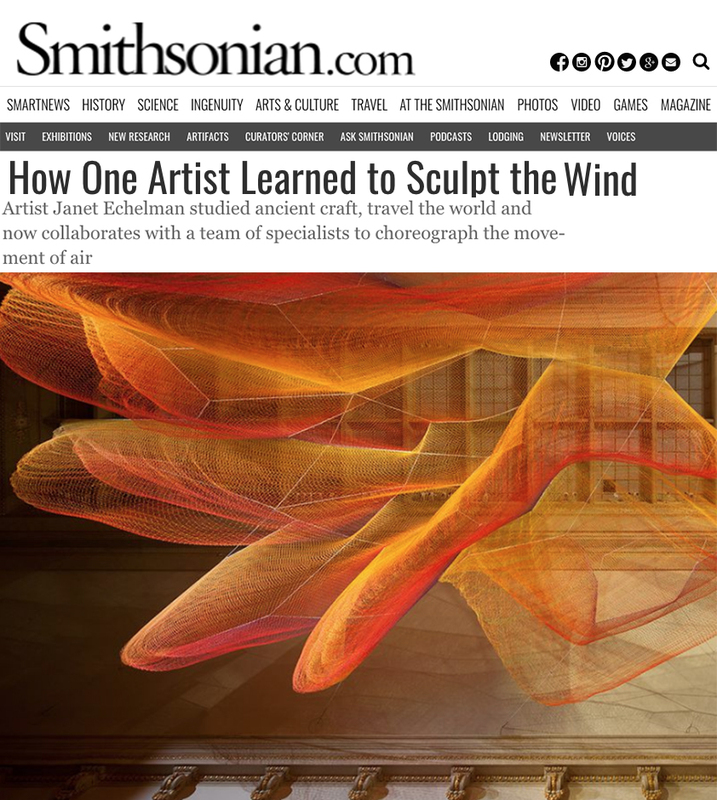 A carefully choreographed lighting program subtly changes the experience of sculpture with every perspective. 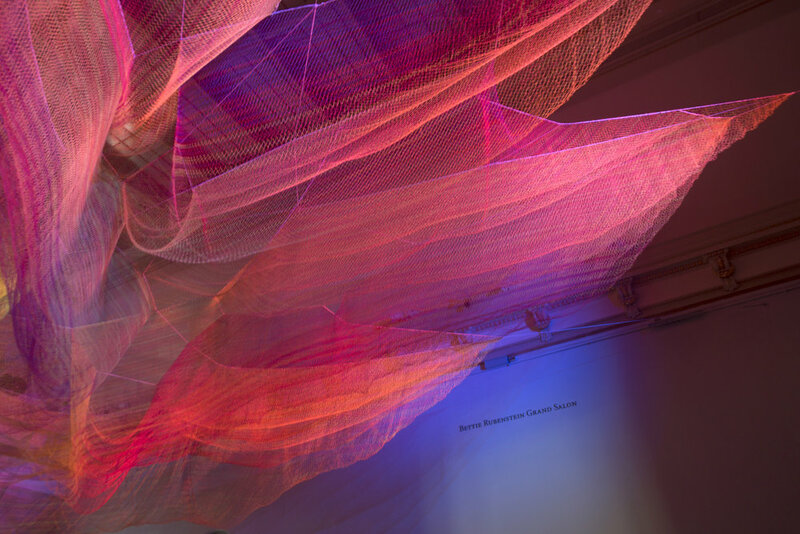 Visitors find themselves transported into a dreamlike state, gazing skyward at an ethereal choreography of undulating color. 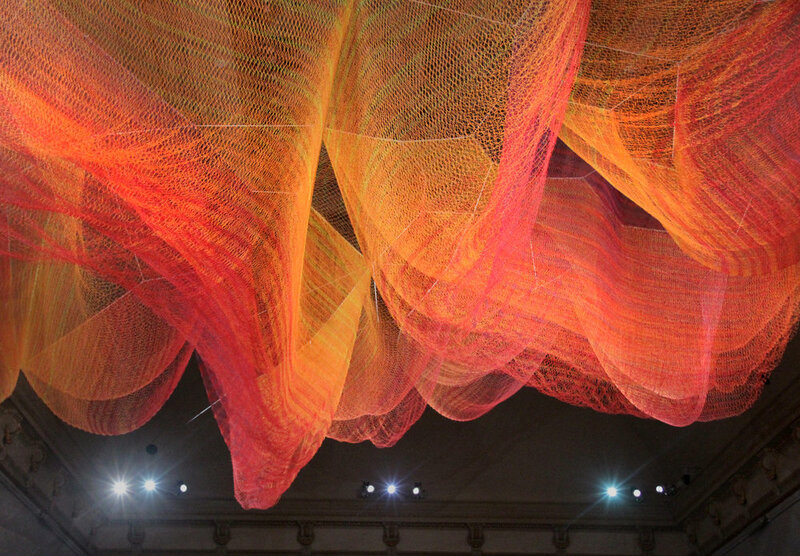 A 4,000 square-foot textile floor echoes the organic topography of the aerial form in monochromatic hues, providing a playful contrast to the vibrant hues of the sculpture’s 51 miles of twine above. 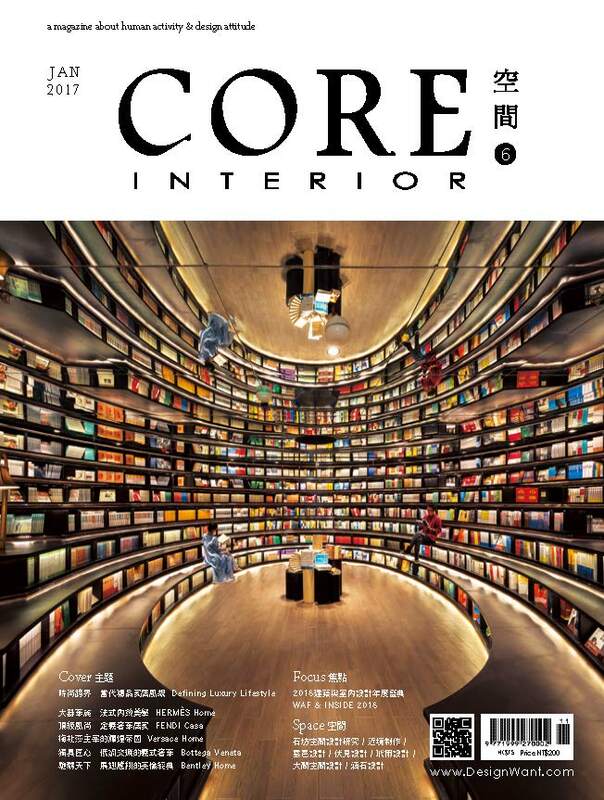 The flooring is composed of regenerated nylon fibers repurposed from discarded fishing nets. 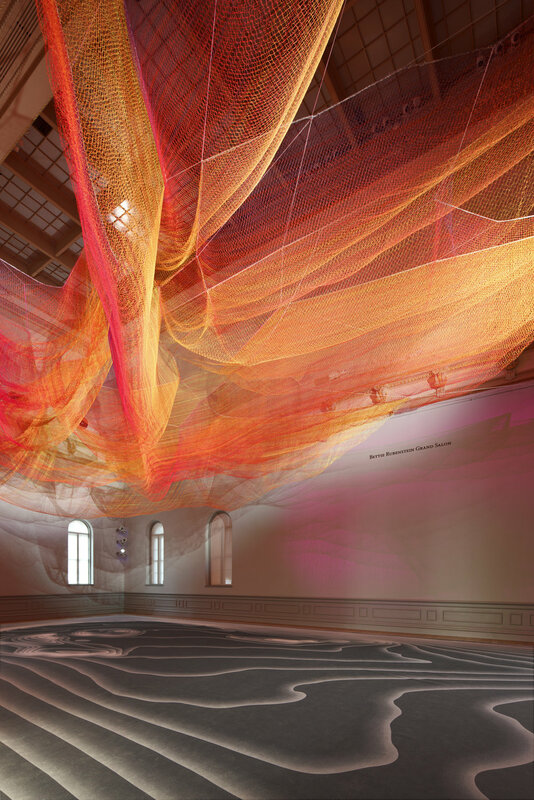 Renwick Gallery, Smithsonian American Art Museum, Washington D.C.